Bring out the Mega Buster! Nintendo and Capcom have combined powers and announced that during the month of August, they will bring you five classic Mega Man games for the Virtual Console on the Wii U every Thursday (starting on the 31st of July). 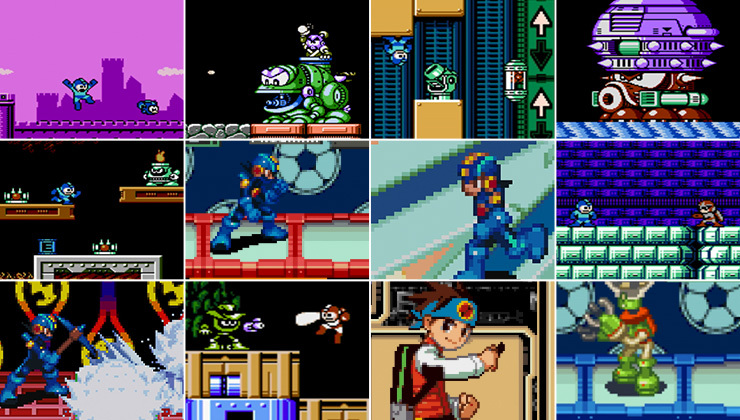 Enter cyberspace to power up Mega Man in this Game Boy Advance classic with a unique battle system. Put a stop to Proto Man’s dangerous schemes in an action-platforming game originally released for NES. Who is the villainous Mr. X? Battle your way through this NES platformer to find out! This follow-up to Mega Man: Battle Network changes up the formula with innovative, turn-based combat. The Maverick Reploids are running wild and causing trouble in this run-and-gun platformer for Super NES. Help Mega Man X and Zero take control of the situation.